When looking for a good quality speaker set-up, you’ll need to consider where you place your speakers and the direction that sound travels in. There are also a great many types, sizes and price points available on the market too. 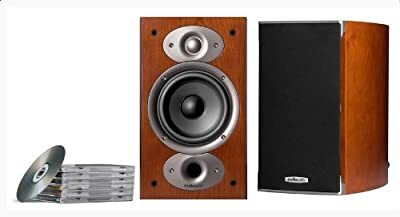 This article deals with the two main choices for smaller rooms and rear channel cinema system set-ups, namely Bookshelf speakers and Floor Mounted speakers. 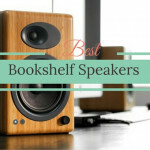 Bookshelf speakers are similar in design to old fashioned hi-fi equipment from decades past. In the modern home however, they still have an important function, serving as a smaller sound set-up for smaller rooms where you want to avoid too much bass. Many people tend to mount bookshelf speakers on dedicated stands to optimize sound quality plus they make ideal speakers for the two rear channels of a home cinema set-up. These speakers are ideally driven by an existing hi-fi system, Sonos or of course an amplifier. One very important plus with bookshelf speakers is that they almost always perform better than floor mounted speakers. The ability to mount on a bookcase or dedicated stand is an important one if you’re trying to create great sound quality in your home. A very similar design to the bookshelf speaker, floor mounted speakers tend to be more powerful and often a little heavier. This is because it takes more energy to drive the sound up from floor level to fill the room with sound. There is an argument over floor standing speakers being of a better sound quality. For small rooms however, this can easily be ruined by too much base creating “base boom” and hampering the quality of mid-range notes. 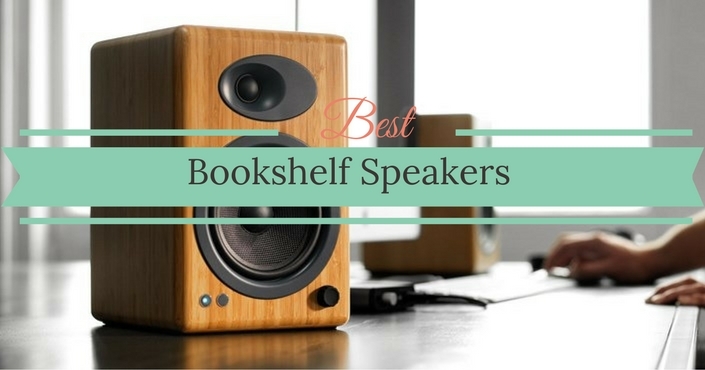 For most home applications, bookshelf speakers offer a better sound quality. The first speakers in our review are an entry level pair from Sony, designed to offer decent sound quality for well under $150. One of the strong positives about these speakers, is the fact they run with 8 Ohms impedance. This means they will work with quite a few types of surround sound system, something even high quality Bose speakers cannot do! Another good feature, is the way Sony have added foam to the inside casing, eliminating the base boom that often happens with entry level speaker systems. Of course you will need a sub-woofer because the base these speakers produce is pitiful! However, for small rooms and 5.1 set-ups they are great. These speakers come firmly into the cheap and cheerful camp. We say cheerful because although they retail for a pretty amazing price that you wont believe, they still serve up 100 Watts output and are actually quite a well-made set of speakers. One of the great things about these speakers is their size, just 3.6 by 4.6 Inches – must smaller than traditional hi-fi speakers. Of course, there are downsides to the price point and size, namely sound quality. Don’t expect to power many all-night raves with these speakers! However, they will make a decent addition to a small living room, study or anywhere that size is an issue. These speakers are advertised for home cinema applications too. 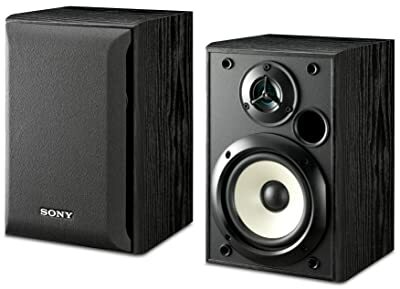 For our money that’s not a great use for these speakers, the Sony SB’s are a far better upgrade if you’re considering giving a boost to your home cinema system. These Pyle speakers should be considered a swap-out replacement for blown OEM cinema equipment and not an upgrade. Still, the Pyle speakers do have some good applications and are worth considering. I had to include a Fluance set in this review, they’re by far my favorite speaker brand! 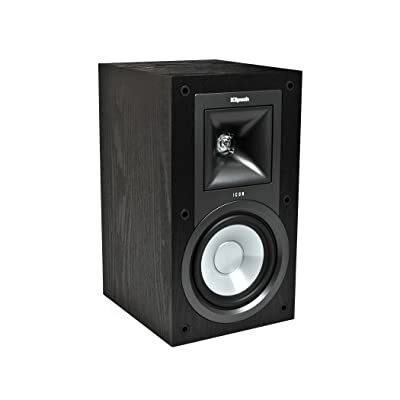 This pair, come in at a similar price to the JBL / Infinity pair, yet they feature an awesome retro design, perfect for rooms where these speakers might be on proud display on top of a bookshelf. The cabinets are constructed from audio wood, giving them a great sound quality and finish. They also feature the classic Butterworth design so all audio is equalized perfectly. There are no wave guides used in this design too, simply a domed port that transmits in all directions. An interesting design choice but one that works well. Personally, I love these speakers as a classic design, your love for them will depend on your feelings about this! 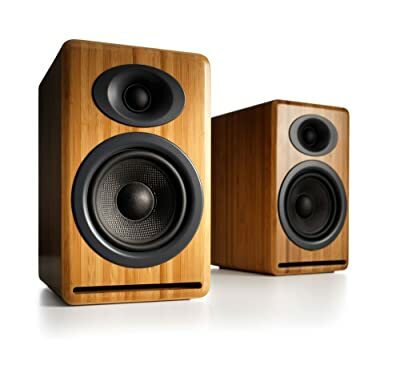 Another classic pair of wood speakers, the Polk RTI A1 operate at the middle to high end of the market. They feature an MDF construction with resonance free enclosures and a 5.25 Inch Cone. This is the first speaker set-up that also has Neodymium magnets and a heat sink to help cool down the speakers during operation, a hallmark of quality. Sound quality is superb, rivalling systems from high end manufacturers and the speaker enclosures are slightly smaller than standard too, handy if you’re struggling with shelf space to fit your speakers on. The only downside to these speakers is the bass output. They perform at all ranges with superb quality except the base notes which sound slightly flat. This could prove a bonus point for smaller room installations though! 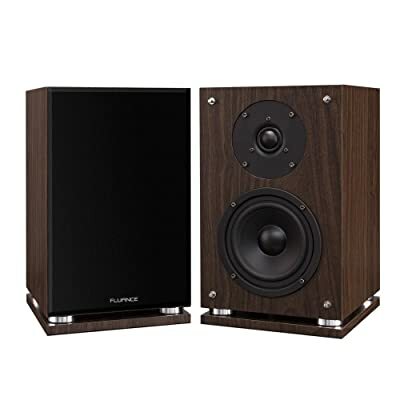 We like these speakers, not quite as much as the Fluance classic pair but they still make a compelling case. The Klipsch are a nice looking pair of speakers, with black ash cabinets and a smart looking Dome / Tweeter combo. They really do have a nice, modern look to compliment a contemporary décor. Specs are high quality, with a 5.25 Dome and 1 Inch Tweeter and a design that promotes less distortion at higher volumes. During our review, we found these speakers had extremely crisp highs and mid. However, bass was a little lacklustre and didn’t pack the punch we expected. We would suggest running these speakers with a dedicated sub-woofer to get the absolute best sound quality. To try this we did hook up the speakers to a 5.1 cinema system with sub included. Here, the speakers really worked well and took care of all high level notes whilst the sub took care of the base, a win-win. Coming at exactly the average size of 5.25 Inches, the KB’s should fit most bookshelf’s and do have the option of fitting them to stands too, something we would heartily recommend as the high end sound quality is truly superb. An extreme quality product, these Audio Engine speakers are fashioned from real wood, with foam padding inside to stop base boom and Kevlar woofers. The tweeters on this machine are a definite upgrade, with 1.5 Inch tweeters used and pretty decent 5.5 Inch Domes to compliment them. One great feature of these speakers is the small footprint of the cabinet. In our review we found that they fit quite neatly into the smallest place, great if you’re installing a sound system into a small study or living room. We also found during our test that the Audio Engine speakers completely filled a room with sound, providing quite an amazing range considering their size. Even the base tones were full and rich, quite a feat considering the speakers footprint and size. We were impressed by these speakers, in-fact they might convince me to upgrade from my old Fluance set-up in my office! This pair of Boston Acoustic Speakers is our review wildcard. They cost a pretty decent $129 and as any audio hobbyist will tell you, Boston Acoustics are a really good brand. 6.5 Inch Soft Dome Cone. The sound quality provided by the Boston System is pretty good, almost a rival to some speakers in our test that cost $250 or more. Rich base and high end tones can all be hears and although not as smooth as some mid-range pairs, the Boston speakers are definitely an improvement over the Sony and JBL. The only negative aspect to this is design. These speakers come in a very uninspiring jet black with a fabric cover over the dome / tweeter combo. Not a show stopper for many customers in this price bracket but many higher end consumers might opt to spend their money on better looking devices. However, great sound quality, decent footprint and a quality that almost rivals the mid-tier speaker club means the Boston Acoustic Classics are a definite one to consider for entry level customers. It sounds obvious but the size of room sound form a large part of the speakers you buy. With speakers at the cheaper end of the market you might get issues such as “bass boom” – where the bass tones provided are too harsh and echo lightly against solid walls. For small rooms we suggest using a speaker pair with slightly elevated high tones and smoother base tones. This combats bass boom by avoiding the echo, helping you enjoy the music more and also avoiding headaches associated with heavy base noise. For larger rooms, we suggest using larger speaker cabinets and a more rounded speaker spectrum. We also suggest mounting your speakers at head height to drive the sound directly into the living space. You might consider placing speakers on a higher shelf or even purchasing a dedicated speaker stand. If you’re at the entry level end of the market. Consider some of the less well known brands when compared with Boston Acoustics or Bose. 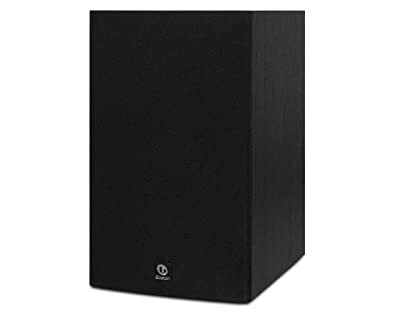 Brands such as Sony provide some great speakers at the $100 – $200 price bracket plus other brands like JBL and Infinity. Always let your ears guide you, not the name on the front of the cabinet. This is not normally an issue with sturdy, well-built bookshelves. However, if you’re shelf feels of light construction or you’re not sure about its load capacity, it’s almost always a good idea to get it re-enforced by a tradesman first. This helps your speakers produce better sound, minimizes vibration and also avoids any safety issues. A common problem is when customers think in terms of base. This is understandable because base is one of those things that’s most apparent when listening to a high quality set-up. However, a really decent sound system should be able to carry ultra-high tones, mid-range notes and the deepest base with aplomb! When listening to possible speaker sets, always test them using all ranges. Common speaker knowledge dictates that the size of the cabinet and done is always better. This used to be true 10 – 15 years ago but since then technology has improved greatly. Some speakers, such as the Audio Engine ones reviews were able to push a very high quality sound from a pretty humble cabinet size. Sounds quality in the modern era is now down to both cabinet size and quality of components. Don’t just use size as the standard bearer for quality, you may be disappointed.